With the spring season upon us, We would like to introduce you to our new general manager and PGA Head Golf Professional, Glenn Busam. Glenn is a PGA Quarter Century Member in the Michigan Section. Glenn is a long time resident of Lake Orion, Michigan with his wife, Sue and two children. 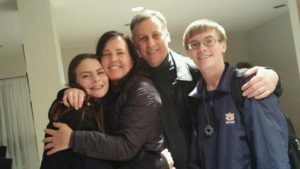 His son, Colin is a senior at Auburn University in Alabama and his daughter, Kirsten is sophomore at Central Michigan. Golf has been a part of Glenn’s life for as long as he can remember. He attended Oakland University and was a part of the golf team there. In fact, he was the team captain from 1984-85. He eventually went on to be the head coach of the Oakland University golf team from 1986-89. Being a seasoned experienced golf instructor for all levels of players, from beginner golfers to professionals, makes Glenn the perfect fit at Copper Hills. 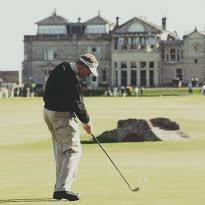 If you are looking to get your junior into golfing or if you want to improve your game, Glenn will be on site to help you with your needs. Glenn will also be a part of our summer golf camps, along with our golf coach, Tony Frias. The golf camps are a great way to get your kids out on the course and learn the fundamentals of golf in a fun and beautiful location. Glenn has some big tasks ahead of him this summer! From hiring our new staff and managing our planned projects, Glenn has been busy this spring! With his experience not only in golf management but also as a coach and playing professinal, we are so excited to have him as our general manager and head golf pro! You will have to come out and see for yourself how Copper Hills Golf Club continues to evolve and improve! Stay tuned for next week’s blog to hear more about what our team is working on this spring. The Changes are taking shaper here at Copper Hills! 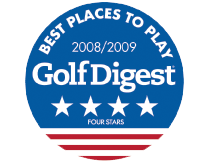 For more information on our PGA Head Golf Professional, Glenn Busam, or our summer golf camps, contact us here or call us directly at 248-969-9808.